Marie Higdon Davis, 94, of Rossville, passed away on Friday, September 21, 2018, in a local health care facility. Mrs. Davis was raised in the St. Elmo community but had lived the past 50 years in Rossville and was a member of Rossville First Baptist Church. 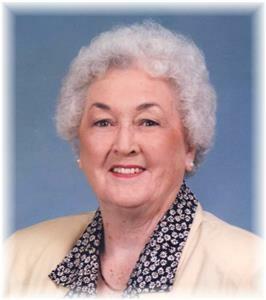 She was a graduate of the 1941 class of Central High School and was a founding member of Brock Insurance Agency, serving as vice-president, secretary, and treasurer from 1963 until 2004. Mrs. Davis enjoyed photography, taking pictures of flowers and wildlife and spending time at her cabin in Ellijay. She was preceded in death by her parents, Samuel and Lela Higdon, husband, Grover L. Davis, granddaughter, Julie Davis, five sisters, and two brothers. Survivors include her son and daughter-in-law, Dana F. and Linda Davis of Signal Mountain; granddaughter, Erin (Jay) Sizemore; grandson, Keith (Mary) Davis; great-grandchildren, Emma Marie, Denver, Isabella, Morgan, and Michael. Expressions of sympathy may be shared at lane-southcrestchapel.com. In lieu of flowers, please consider contributions to the Alzheimers Association in memory of Marie at alzheimers.org. Graveside services will be held on Tuesday, Sept. 25, at 2:30 p.m. at Forest Hills Cemetery with Reverend Sally Ensley officiating. The family will receive friends on Tuesday, from 12-2 p.m. at the South Crest Chapel of Lane Funeral Home & Crematory, at the end of historic Missionary Ridge, Rossville.